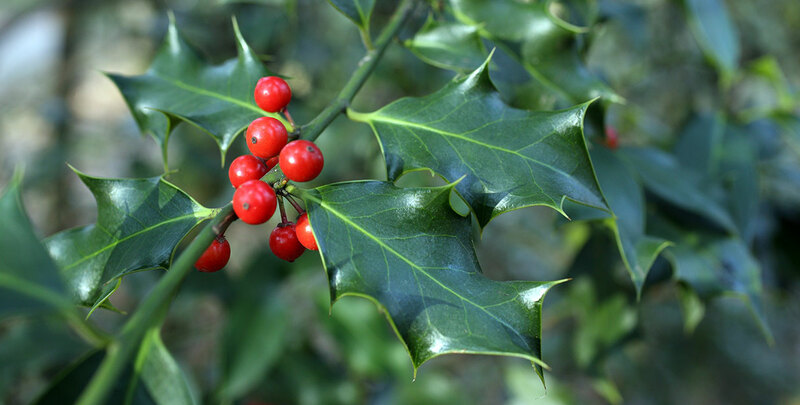 Common holly, alternatively known as English holly, is one the few native species of evergreen hedging plant. It is highly valued for its appealing foliage and plentiful berries and is widely used in Christmas decorations. In addition, common holly makes an ideal hedging plant for many reasons. This classy plant produces a solid, slender hedge, while its prickly leaves make your garden impenetrable to intruders. It tends to be slightly less dense than some of the cultivars available, including the holly ‘Alaska’. English holly requires little maintenance, as it is a slow grower (10-20cm p.a.). It reaches an ultimate height of 5-10 metres and will create a formal decorative hedge. It is versatile and very resistant to diseases. Red berries appear in autumn and remain on the hedge throughout the winter. Common holly dislikes drought, but will thrive in almost any soil. Also, it can handle anything from full sun to full shade. All parts of this plant species are poisonous.